To position Nature’s Way Purewater as a global leader in the beverage contract manufaturing industry, our strategists overhauled the company’s image in four short weeks. 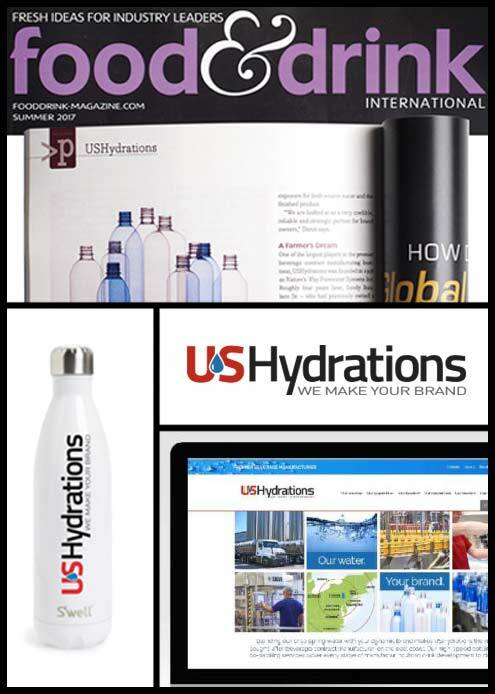 Name development, branding and positioning, video production, web design, site signage and collateral materials effectively communicate USHydrations’ commitment to innovation, quality control and customer service. The result? Purposeful publicity in the form of a feature in Food & Drink International Magazine. And a flood of new business. 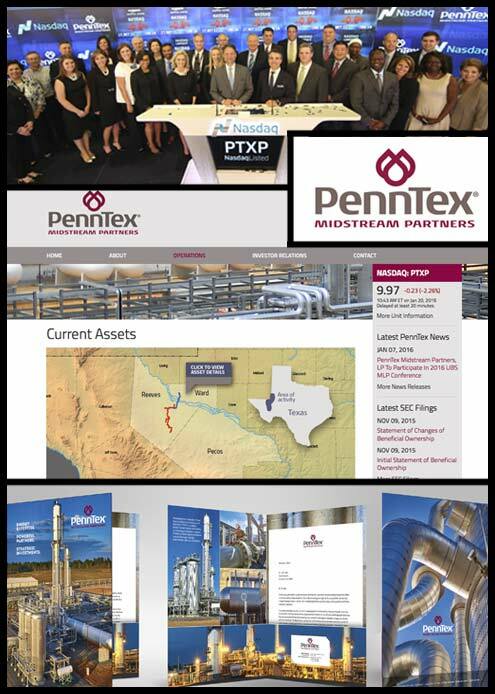 Armed with extensive experience in the energy arena, our team helped take our Houston-based client’s privately held company public. Our comprehensive branding and public relations campaign included a new logo, collateral materials, and press kit. Working closely with NASDAQ, we redesigned the company’s website and ensured the conversion adhered to all compliance regulations and legal stipulations. Our keen attention to detail resulted in a smooth and profitable transition. When faced with the exponentially-growing number of opioid overdose deaths in Pennsylvania, our team developed and launched the multi-platform/multi-media Heroin Hits Home campaign...engaging thousands of community members to join the fight. Our long-standing partnerships and negotiation skills helped secure hundreds of thousands of dollars in pro-bono media placement. Our award- winning campaign and collaborative partnerships led to the formation of an Opioid Overdose Coalition comprised of stakeholders and influencers including public health professionals, law enforcement, universities, foundations, treatment centers, emergency response teams, government officials, courts, businesses, faith-based communities and social service agencies who continue to work together to reduce overdose deaths. 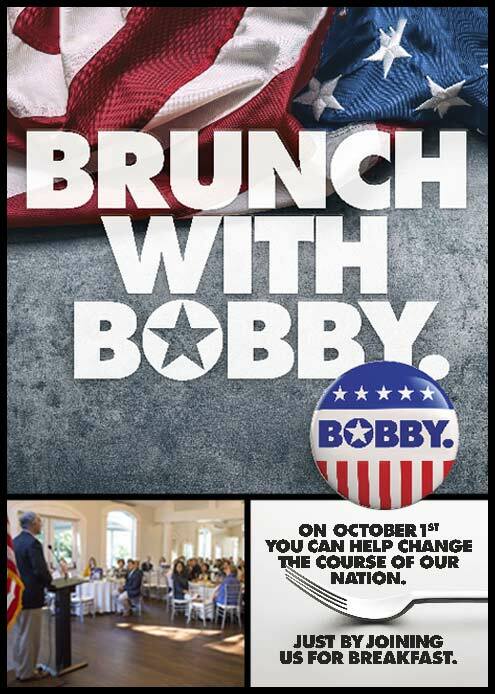 When United States Senator Robert Casey reached out for assistance, Lavelle Strategy Group deployed an engagement strategy to ensure success. Developing a new women’s network, targeting participants who were non-active politically and communicating through digital and social channels, our sold-out event raised substantial dollars, activated current supporters and engaged a new and ultimately committed audience. An all-natural protein water. A new brand in an overpopulated category. A product name too difficult to pronounce. From branding to bottle design. From packaging to messaging. From digital media strategy to creative consciousness. 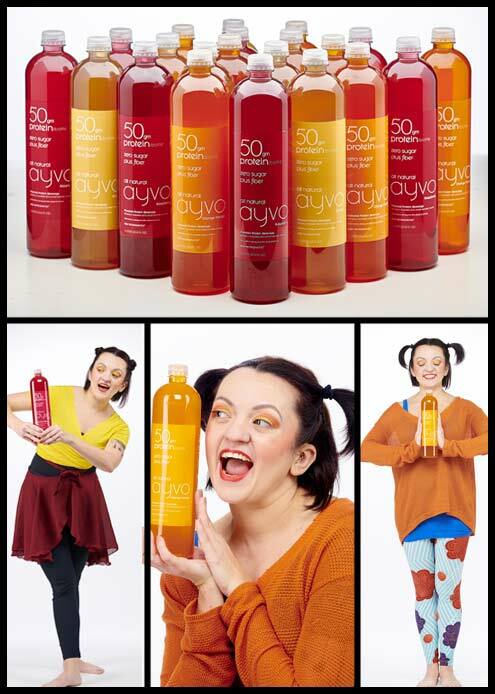 The Ayvo campaign clearly communicates product benefits and brand personality to our millennial audience, while focusing on correct product pronunciation through the delightful characters created. Unanimously elected to serve the Federation’s 40,000 members as Chair of the Council of Governors, agency founder Helen Lavelle recognized the need to deeply connect membership by honoring those who have gone before us. 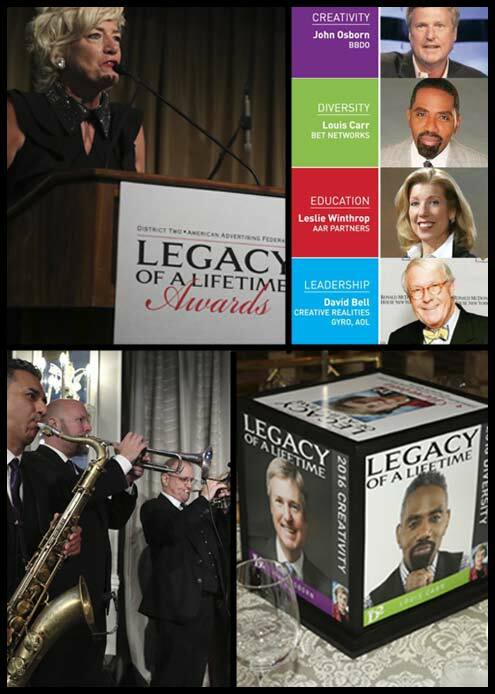 Fully developed and executed by our team, the Legacy of a Lifetime Initiative was held in NYC and honored industry greats in the all important categories of creativity, diversity, education, and leadership... all while commemorating Patricia Martin, the first woman inducted into the Advertising Hall of Fame and first female chair of the AAF. 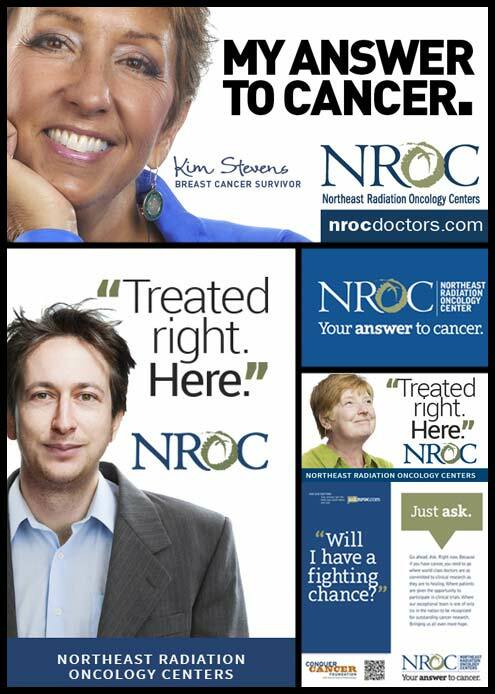 The integration of strategic public relations with both traditional and digital media positioned NROC as the preferred practice for radiation oncology care. Aiding our cancer centers in Pennsylvania, New York, and New Jersey with our proprietary behavioral targeting methodology yields results 3X higher than industry benchmarks. And our award-winning television, print and outdoor campaigns continue to increase patient census. 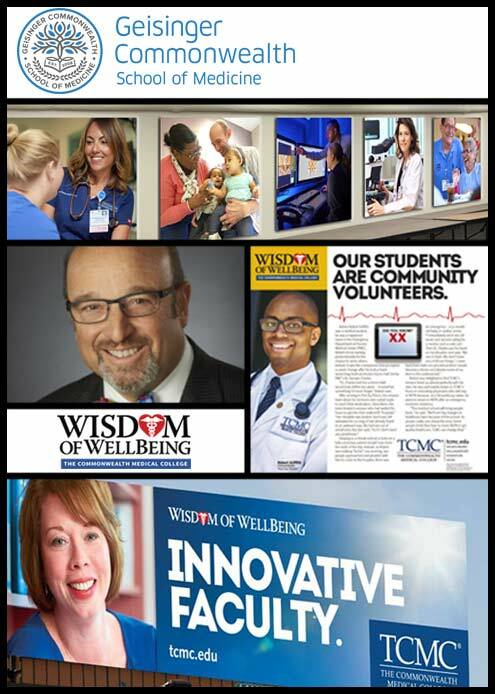 The Wisdom of Wellbeing is a multi-platform campaign that addresses population health issues specific to the medical school’s Pennsylvania footprint. Conducting research, writing, vetting and producing :60 second vignettes broadcast on television and social media weekly. Integrated with hyperlocal newspaper inserts and outdoor advertising, the medical school and its President are positioned as the experts on public health education, proactively engaging the community and developing lasting partnerships with donors. 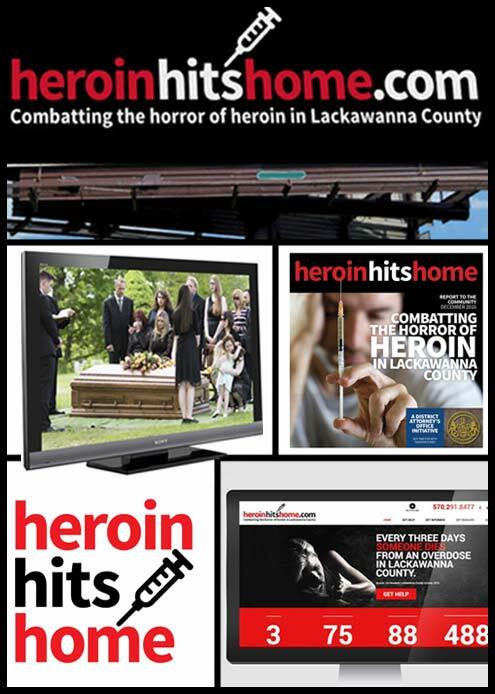 When faced with the exponentially-growing number of opioid overdose deaths in Pennsylvania, our team developed and launched the multi-platform/multi-media Heroin Hits Home campaign.. engaging thousands of community members to join the fight. Our long-standing partnerships and negotiation skills helped secured hundreds of thousands of dollars in pro-bono media placement. Our award- winning campaign and collaborative partnerships led to the formation of an Opioid Overdose Coalition comprised of stakeholders and influencers including public health professionals, law enforcement, universities, foundations, treatment centers, emergency response teams, government officials, courts, businesses, faith-based communities and social service agencies who continue to work together to reduce overdose deaths. Insightful visionaries. Fierce negotiators. Proactive thinkers. From taking a privately held company public to raising millions for nonprofit organizations, Lavelle Strategy Group has created and implemented revolutionary campaigns that produce skyrocketing sales.